Who knew a twenty-one-year-old boy could change lives with just one thought? Shivam Rana, the boy behind a hundred smiles - the force behind UDGAM. 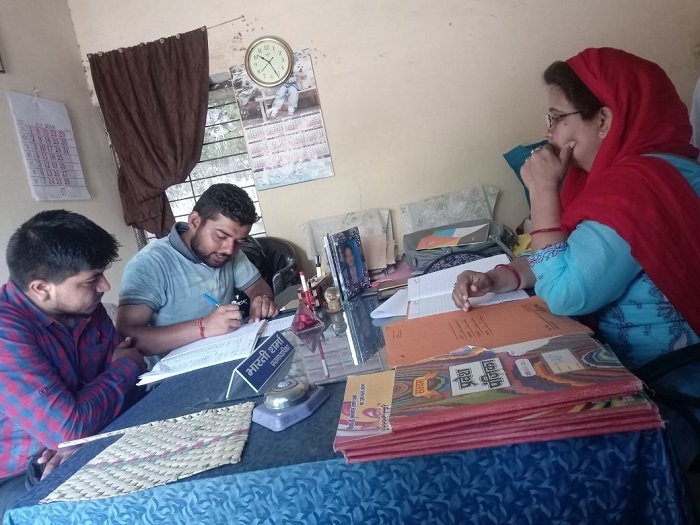 "I don’t want children to be left uneducated just because they can’t afford the school fees especially when I can do something about it", says Shivam. 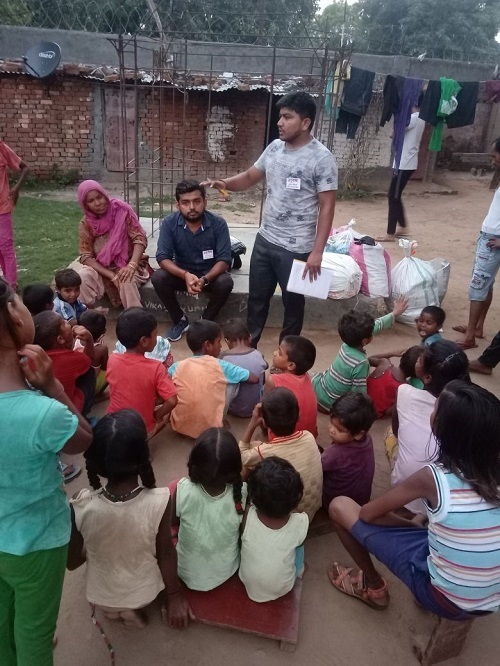 After starting off alone, Shivam was joined in by his friend Deepak Choudhary, in his mission to uplift families by giving children from Bhaila Khurd, access to better education opportunities. Bhaila Khurd, a village located in Deoband Tehsil of Saharanpur district, Uttar Pradesh also happens to be Shivam’s hometown. "We used to go from one house to another, trying to convince parents to send their children to school". 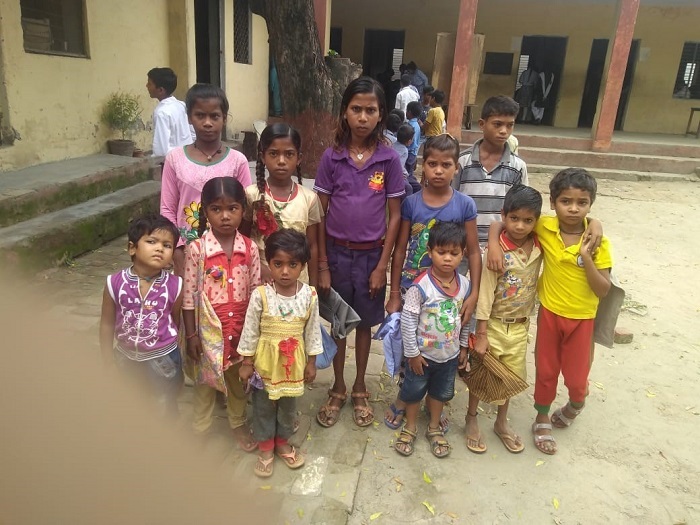 According to Shivam, one of the main problems that they faced while trying to bring more children to study was that the parents did not want their children to miss out on work and lose out on their daily wages. 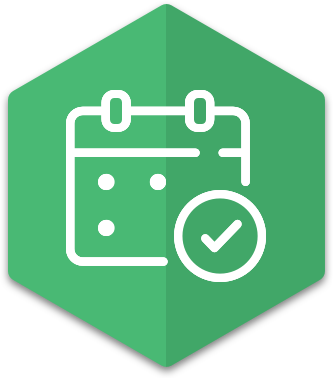 Parents questioned his team about their motives and quizzed them about how they were going to benefit from educating the children. Team UDGAM had only one answer to all their questions, which was, the only reason they wanted the children to study was so that these children could get equal opportunities so that they can rise above all the adversities that they are facing. Having begun his education at Doon Valley Public School in Deoband, Shivam Rana completed grade 12 from Roorkee’s, Army Public School No. 1, located at Haridwar district, 40 kilometres from Bhaila Khurd, his village. He completed his Bachelor of Arts in history and political science from BSM PG college, Roorkee. Shivam’s father is a farmer and mother is the head of village. When I asked him about his struggles while running UDGAM, I could almost hear him break into a smile saying, "I started off with my own pocket money, my friends joined me in my journey and we persuaded about 21 students who are studying at IIT- Roorkee to teach the children at UDGAM. The main problem that we are facing is the scarcity of funds." 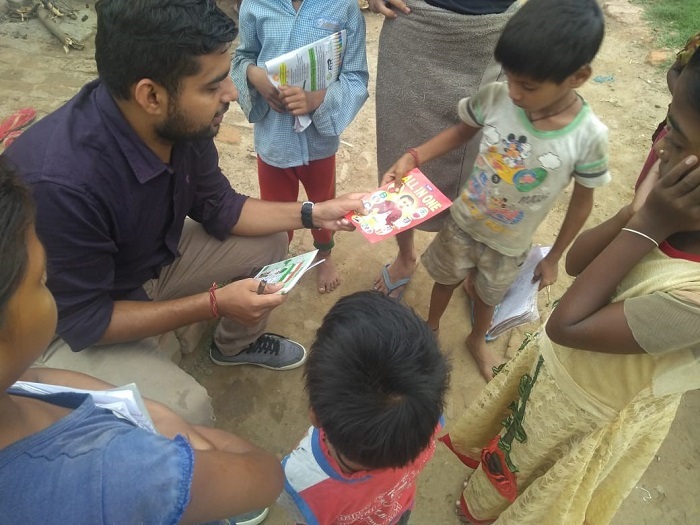 While Shivam works towards educating the children, he also tries to get the necessary items that children need. When I asked Shivam about what kind of requirements the children have, he said "There are 21 children from the village who don’t have shoes. I am really trying hard to collect some money so that I can get shoes for them." Shivam's tireless effort towards uplifting his village is a very important step towards the socio-economic development of rural India. I also asked Shivam whether they’ve got the NGO registered and Shivam told me that they got in touch with a lot of advocates but unfortunately, most of them were only interested in duping them into giving them (advocates) money in the name of registering UDGAM as an NGO. UDGAM stands for rising high and Shivam aspires to do just the same for all the children from his village. Shivam and his colleagues have already enrolled 70 children in school. 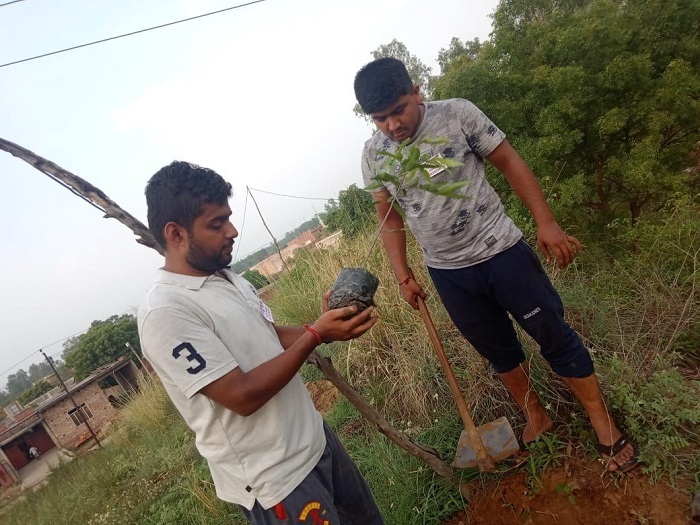 Education has been one of their main aims but they have undertaken various tree plantation drives over weekends and have taught children about the importance of building a sustainable environment. Along with this, they have also successfully enrolled over twenty-one girls in school under the Beti Bachao, Beti Padhao initiative. 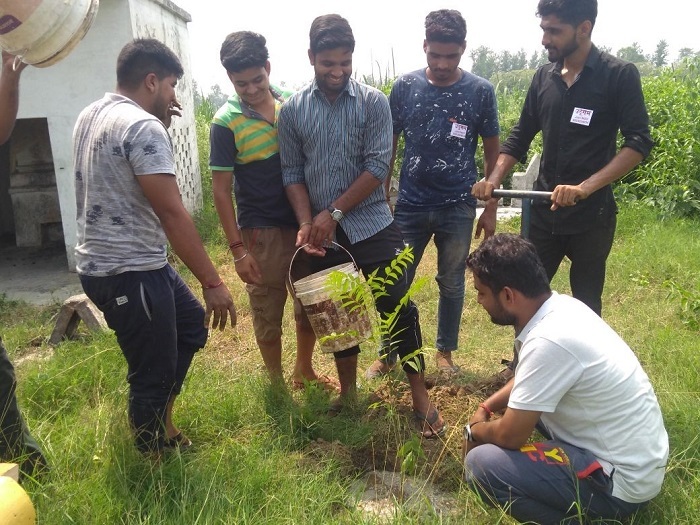 Shivam(sitting) along with Deepak, Nitin, Chirag, Arpit and Aditya (left to right) planting saplings in his village as a part of the tree plantation drive initiated by UDGAM. The recent plastic ban also gave them a chance to teach the village folks about how plastic harms the environment. UDGAM undertook distribution of about 700 to 800 cloth bags across villages in Roorkee. 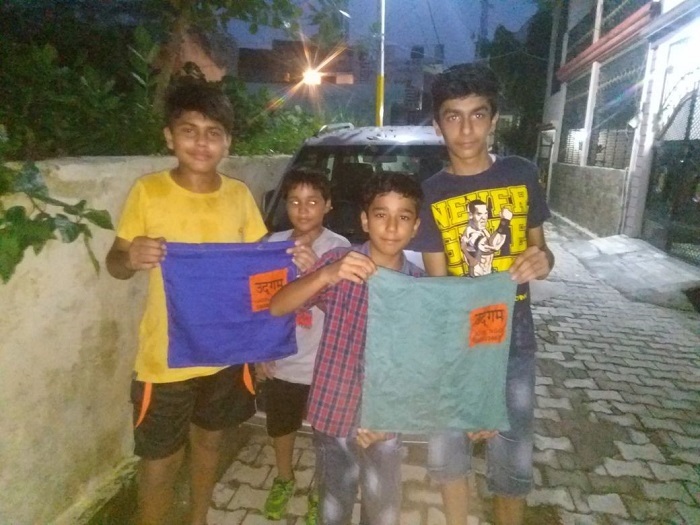 When I asked him how they managed to get these bags made and distribute them across the village, Shivam quipped, “We took old clothes from children and elders and passed it on to the village ladies, then they to sewed bags for us from these pieces of cloth. They made cloth bags, cushion covers and doormats from these old pieces of cloth and charged us about Rs. 5/- per piece.” Isn’t it beautiful how this small initiative benefited the village women as well as the environment in the best way possible? 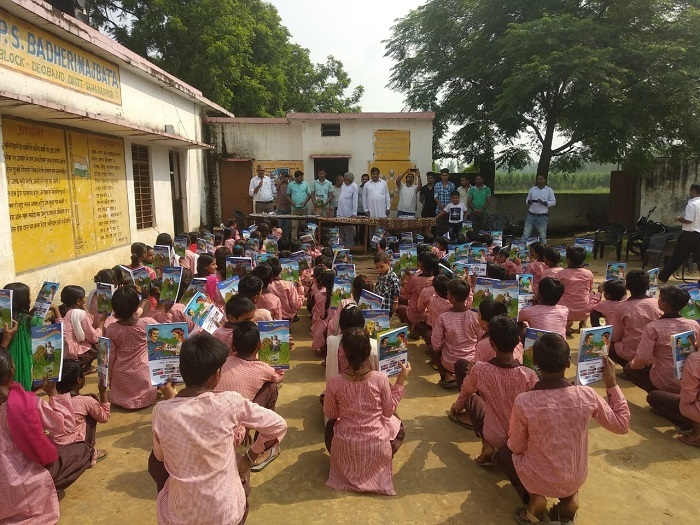 As a part of Independence Day Celebrations, Team UDGAM distributed books among the children of Valmiki basti to signify that true independence comes with the mighty power of knowledge (15th August, 2018). According to Shivam, his team of friends and volunteers make all the UDGAM operations possible. 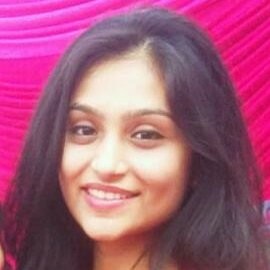 "It gives me most joy when someone works for UDGAM basically for the kids, I feel very happy when I see someone else working towards educating children, they are the future of tomorrow", says Shivam as he emphasises how much each volunteer matters to him. 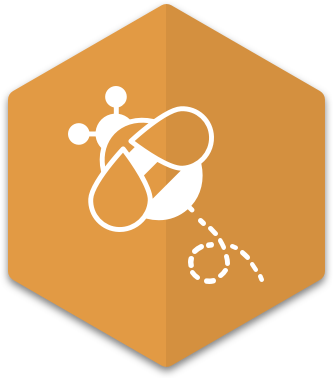 Team UDGAM consists of Shivam Rana, Deepak Chaudhary, Sagar Rana, Garima Kukreti, Priya Saini, Arpit Choudhary, Shubhashish Upadhya, Vipin Choudhary, Aditya Choudhary, Shourya Bhatnagar, Shivansh Sharma, Sonika Thakur, Parikshit Choudhary, Nitin, Chirag and Mohit Pundir among many others who have played significant roles in uplifting the lives of children from Valmiki basti. 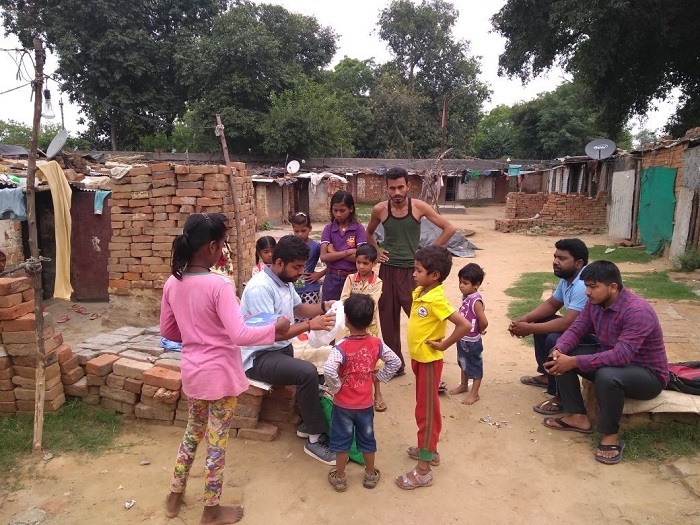 While the team works tirelessly towards the betterment of the children, support from medical professionals, professors from nearby colleges, businessmen and social workers really helps UDGAM in solving problems of fund scarcity, medical requirements or any other kind of help that they can provide. UDGAM is the perfect example of a thought being put into action, something that needs to be understood and adopted by today’s youth. We have all wanted to make the world a better place to live in but taking a step towards it is all that we need to do. As they say, it always seems impossible until it’s done. Let’s try and work towards making a difference to at least one life, at a time. My work usually involves sticking pieces of the shoe together with glue. The glue has a very strong smell that makes me dizzy and sick when I use it for too long. I can’t focus on work sometimes because of this, and the manager gets angry and shouts at me when I make mistakes.